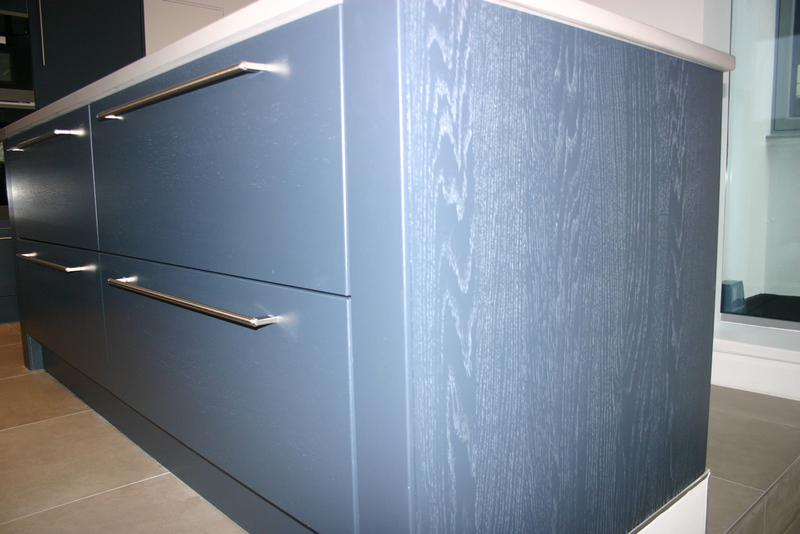 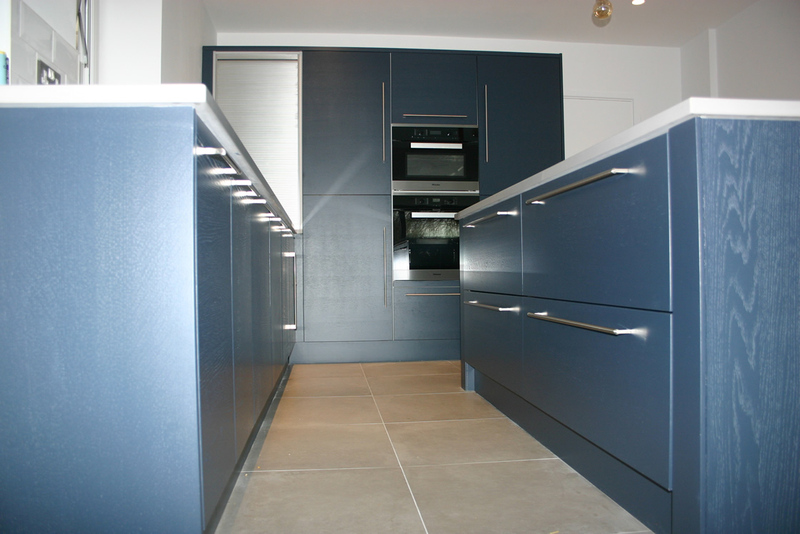 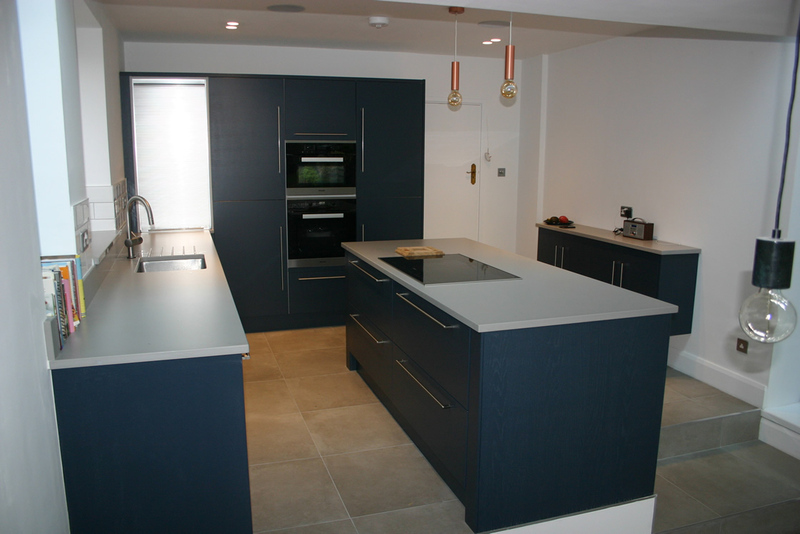 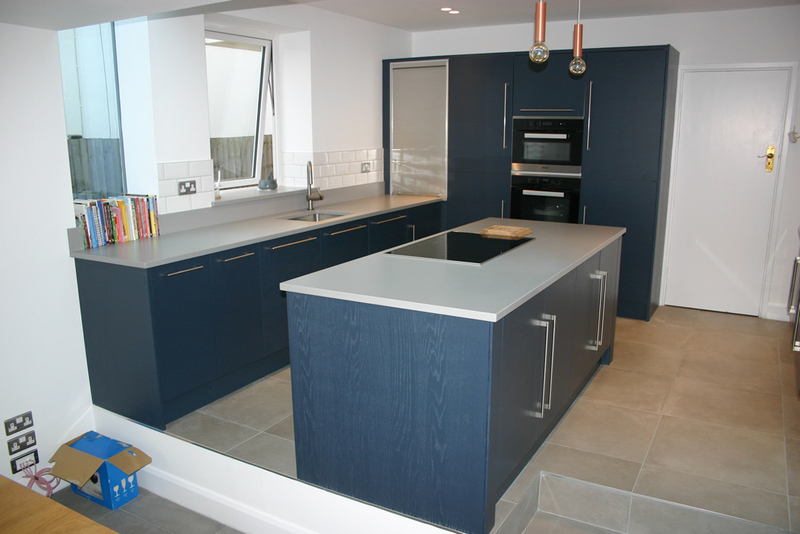 Door Style = Slab door in woodgrain finish in special order “Marston & Langinger Smoke Blue”. 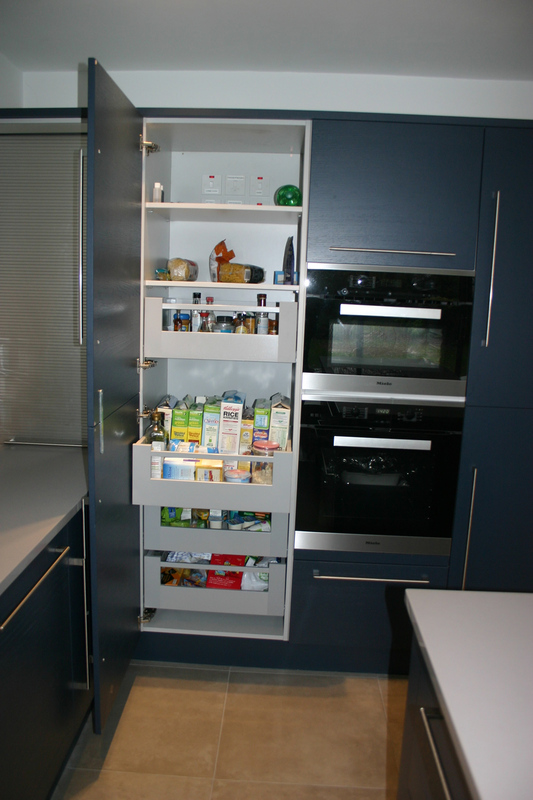 Total Package Costs = £11,000 Including Kitchen Furniture, Pullouts and worktops. 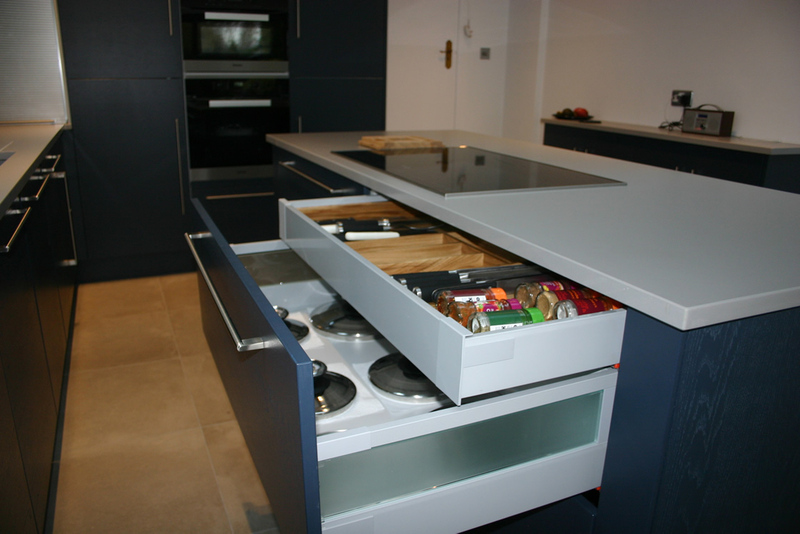 Features: 100mm Pillaster end caps on island & internal larder pull out deep drawers for extra storage.